In the late 20th century, two major gemstone discoveries changed the way the jewelry industry thought about Africa. The first discovery came in 1967, when a great lightning strike scorched the foothills of Mount Kilimanjaro and uncovered the unexpected violet-blue beauty of Tanzanite. The second came in the early 1990s, when a surprise opal find in Ethiopia forced the world to rethink Australia’s dominance in the opal market. Today, we combine two of Africa’s most precious treasures in the Spirit of Africa Collection. 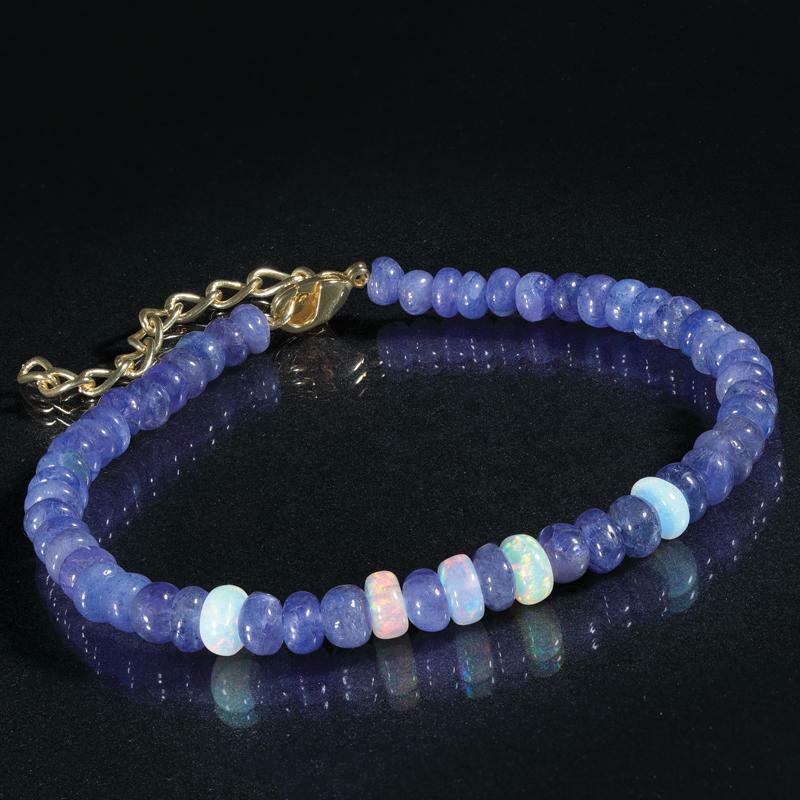 These pieces feature delectable discs of Tanzanite, in a colorful array of violet-blue shades, interspersed with Ethiopian opals, to deliver a perfect balance of colorful, classy and casual. We’ve priced this collection historically low for two reasons. First, we’re excited to celebrate new finds, and so doubly excited to combine two historic discoveries in one necklace. Second, we’re committed to helping our customers make their own new finds, and so we hope the value-driven price tag will awaken your sense of adventure and encourage you to bring some worldly treasures into your collection.